Selecting the right orthotic treatment requires a specialized evaluation from a Certified Orthotist (CO(c)) who is trained in the science of biomechanics, the study of how the body moves. Can we help you find an orthotic solution that will meet your needs? These orthotics encompass the forearm and the palm. They are primarily used to support weak muscles and/or immobilize or limit the motion of the wrist while allowing the fingers to move. WHFOs are similar to wrist hand orthoses (WHOs), but extend to the tips of the fingers and thumb. 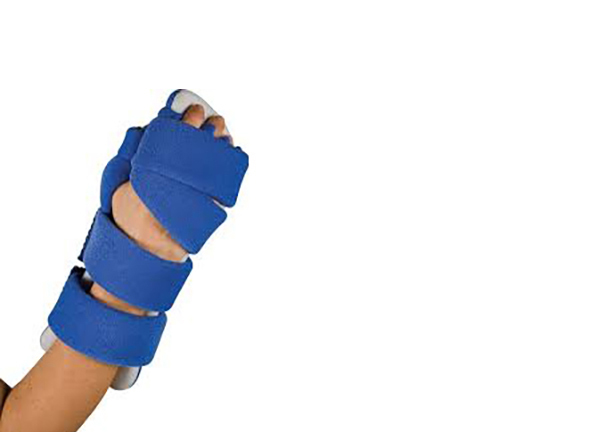 They are used to prevent loss of range of motion or contracture at the wrist and fingers. WHFOs can be static or incorporate a joint for progressive stretching.